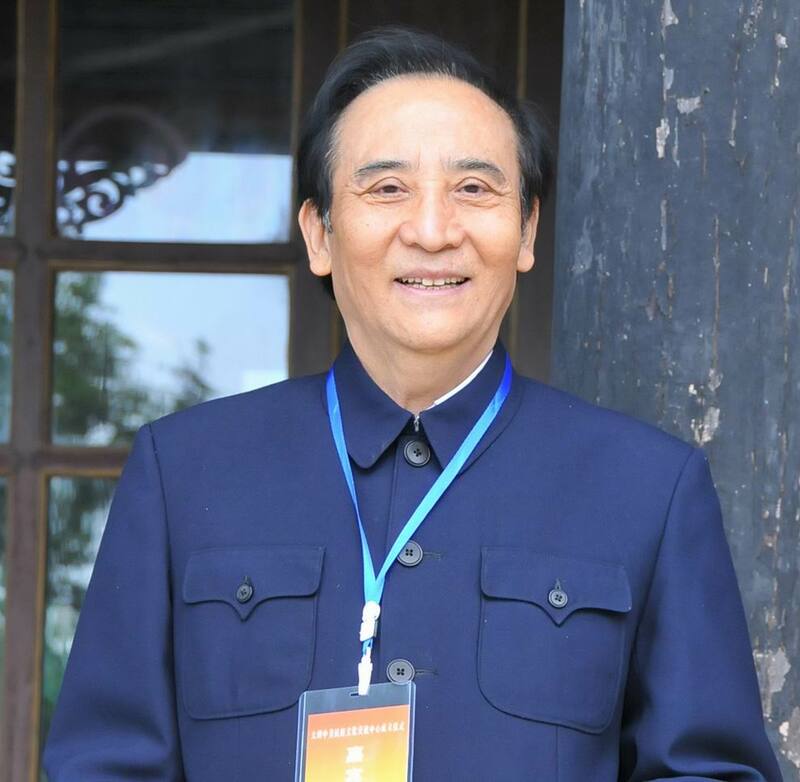 A native of China, Professor Li Guodong now resides in Thailand. He is President of the International Institute of Calligraphy and Paintings of Thailand. He has been practicing Chinese ink calligraphy for more than 60 years since he was six. Prof. Li’s calligraphic works are natural and graceful in appearance，unrestrained and powerful in nature, with distinctive features of his own. He has held many art exhibitions in the world. In 2010, he won the Diamond Award―the top prize at the World Renowned Artists Exhibition in New Jersey, USA. He was also given the Lifetime Achievement Award by the Global Artists’ League. Professor Li’s calligraphic works are very popular among collectors, including VIPs such as UN Secretary-General Ban Ki-Moon, US congressmen，and mayors as well as museums and private collectors around the world. Li’s calligraphic works are also presented as precious gifts to national and international government officials and dignitaries. This calligraphic work entitled Boundless Love (literally translated as Great Love without Border), with a market value of $100,000, was donated to the China Permanent Mission to the UN for auction to raise funds for the earthquake victims of Japan. It won the highest bid at the auction. Li Guodong’s representative Li Yiling presents Li’s calligraphy to the Hon. Kiyo Akasaka, Deputy General Secretary of UN. The Hon. Newt Gingrich, former Speaker of the US House of Representatives, collects Prof Li Guogong's calligraphic work "Fortune". 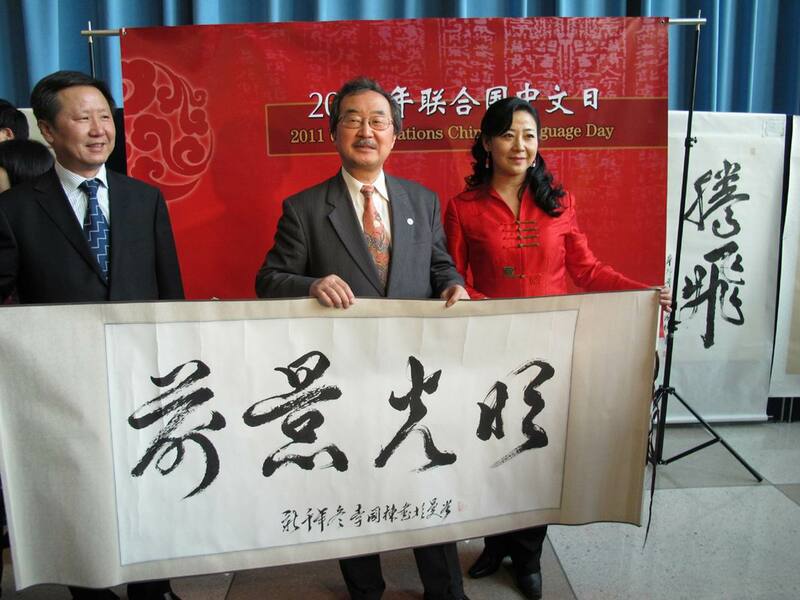 Li Guodong Calligraphy Exhibition is held from April 20th to 29th , 2011 at UN. The Hon. Kiyo Akasaka, Deputy General Secretary of UN., The Hon. Li Baodong, Permanent Representative of China to UN and his wife Madame Lu Hailin, H.E. Peng Keyu, Chinese Consul-General in New York are at hand at the opening ceremony. Prof Li Guogong's work is presented to Prime Minister Xanana Gusmao of Timor L’Este. Prof. Li Guogong's calligraphic work is presented to H.E. Peng Keyu, Chinese Consul-General in New York. Officials in Yunnan province collect Li Guodong’s calligraphic works.